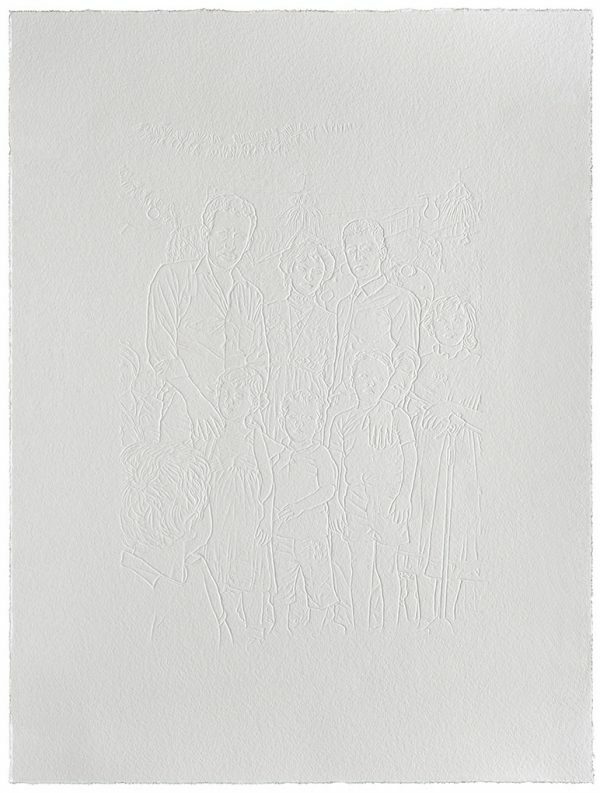 In 1985 Taysir Batniji celebrated his brother’s wedding with his family in Gaza. 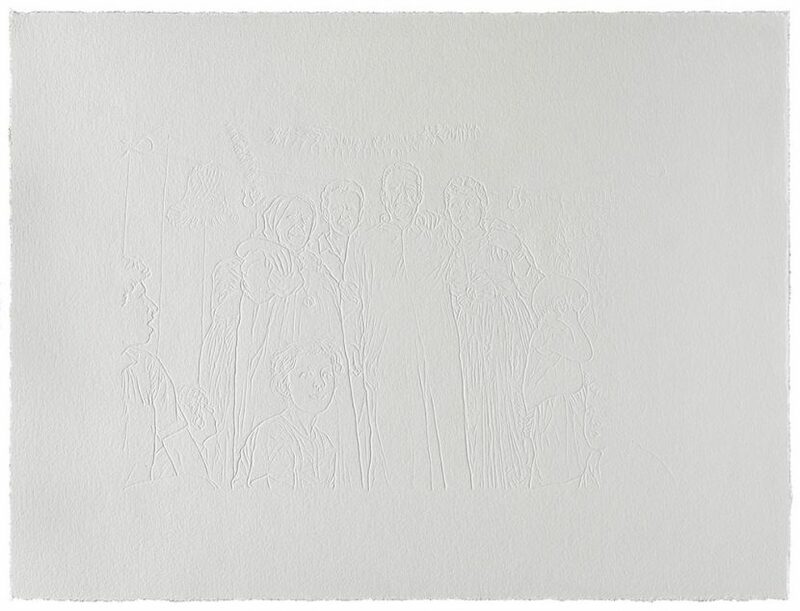 Two years later the First Intifada (1987–1993) broke out, and Batniji’s brother was killed by an Israeli sniper on the ninth day of the uprising. 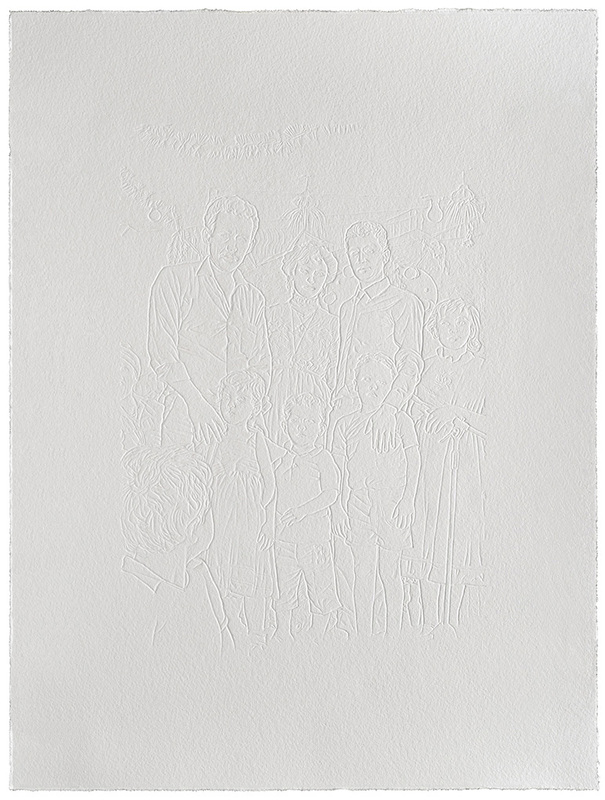 How can personal loss be represented? 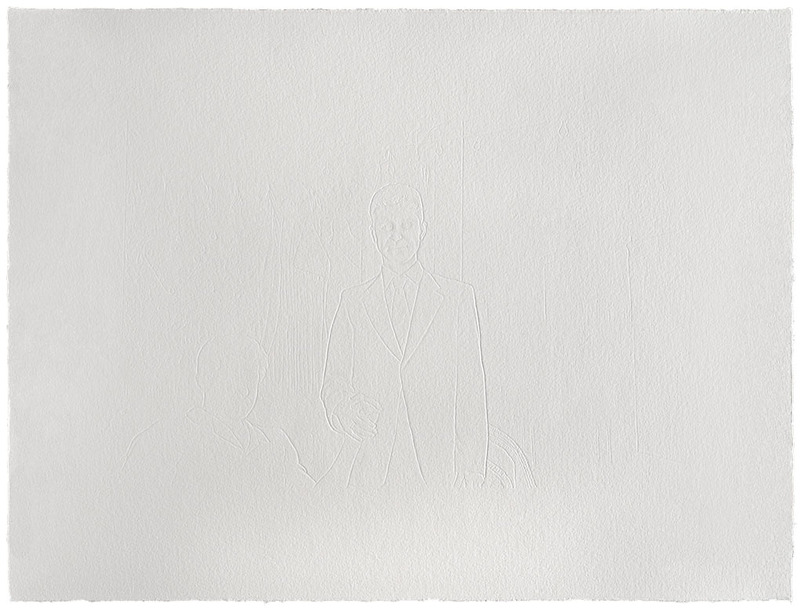 Is it possible to render something absent tangible, to materialize a memory? 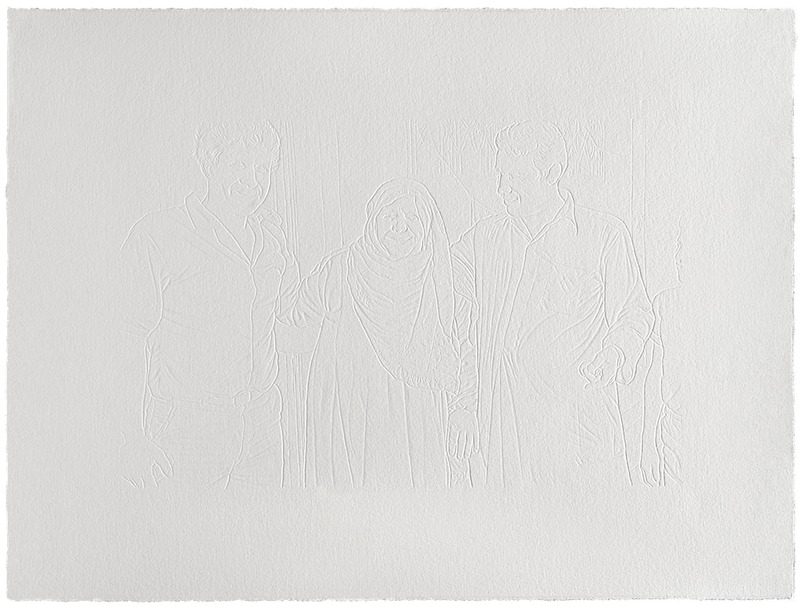 How can we trace the porousness between the personal and the collective – especially in the case of Palestine – when speaking of memory and of things lost? 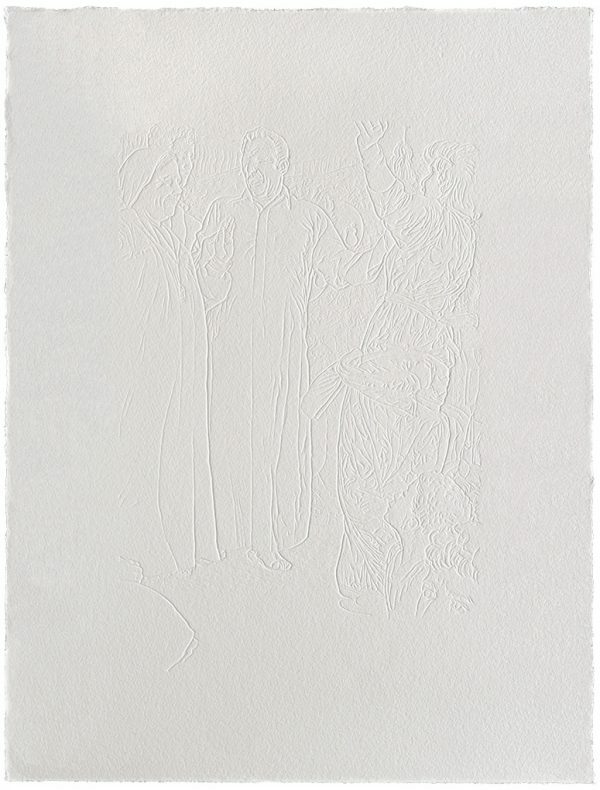 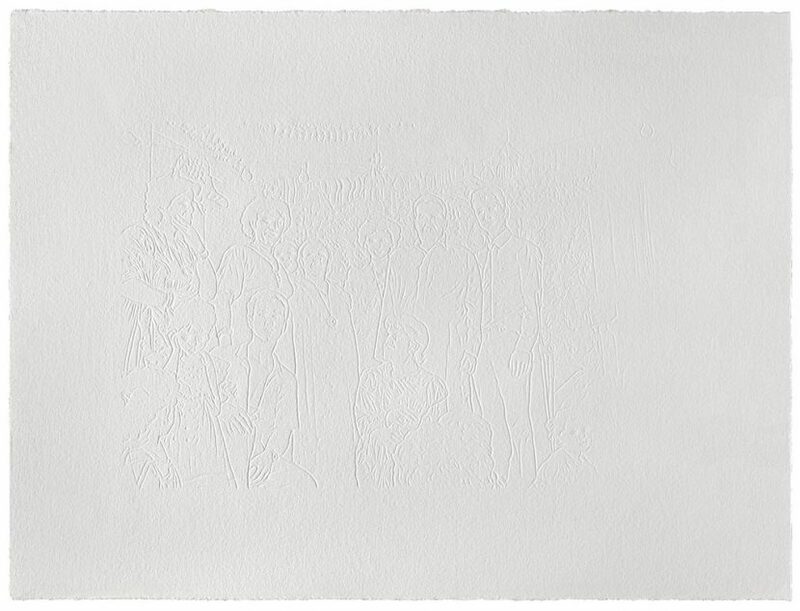 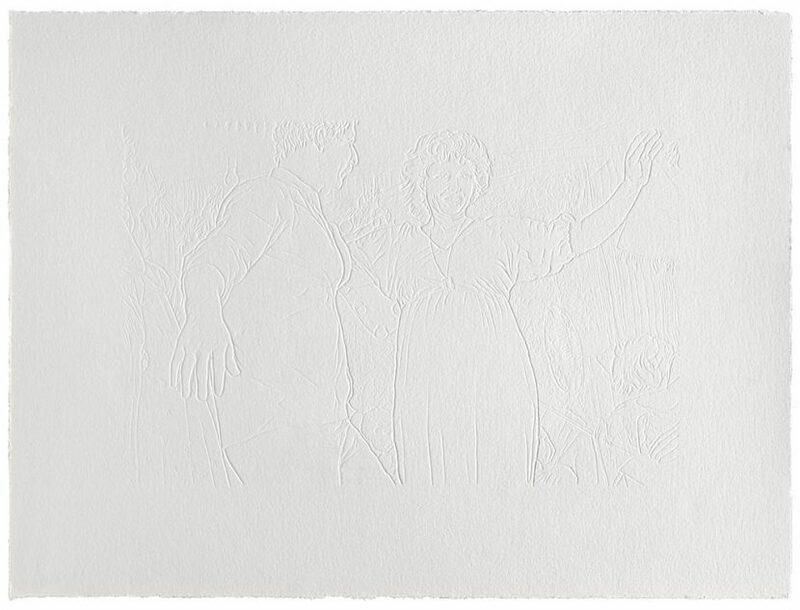 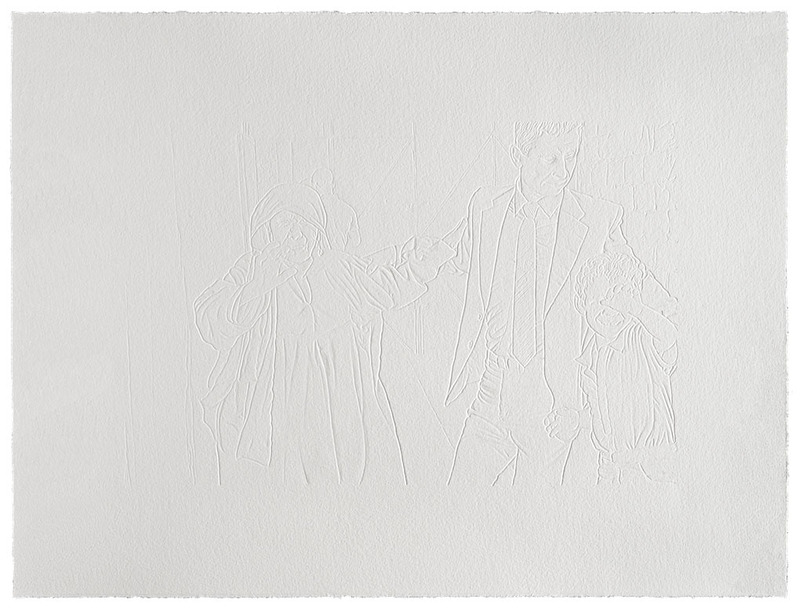 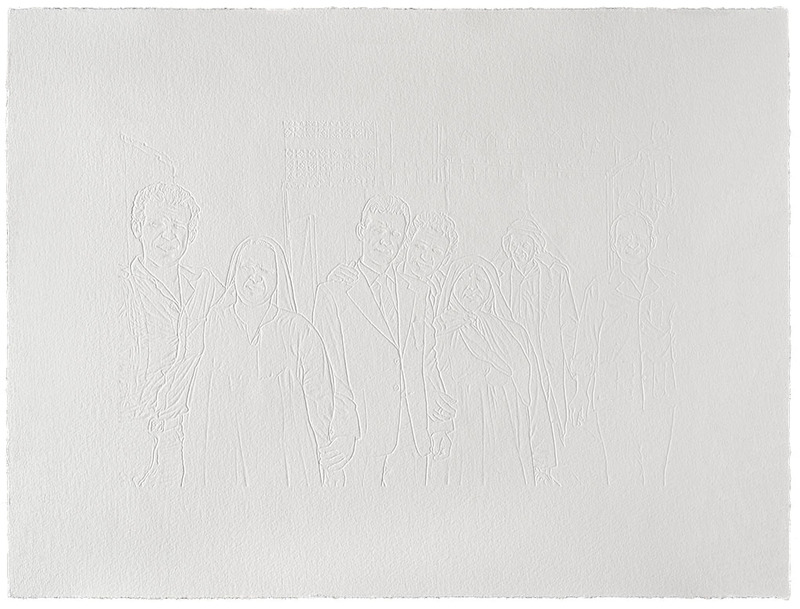 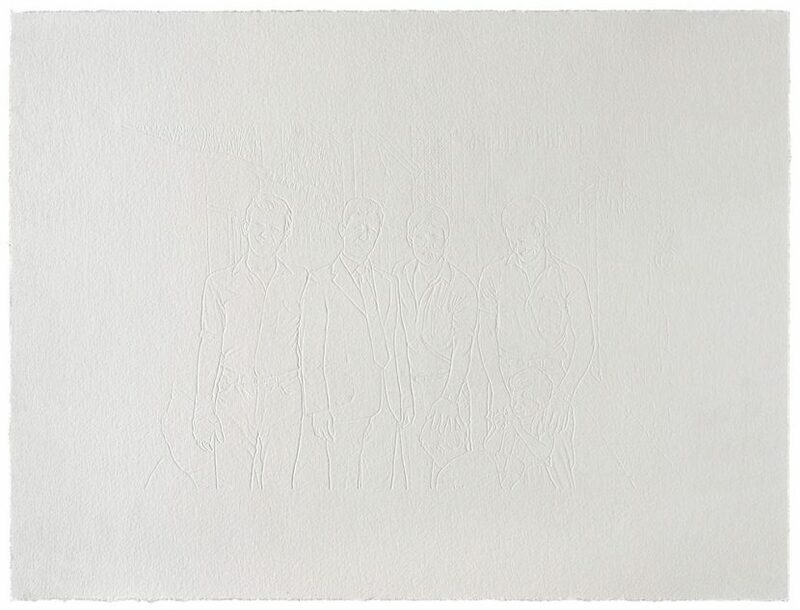 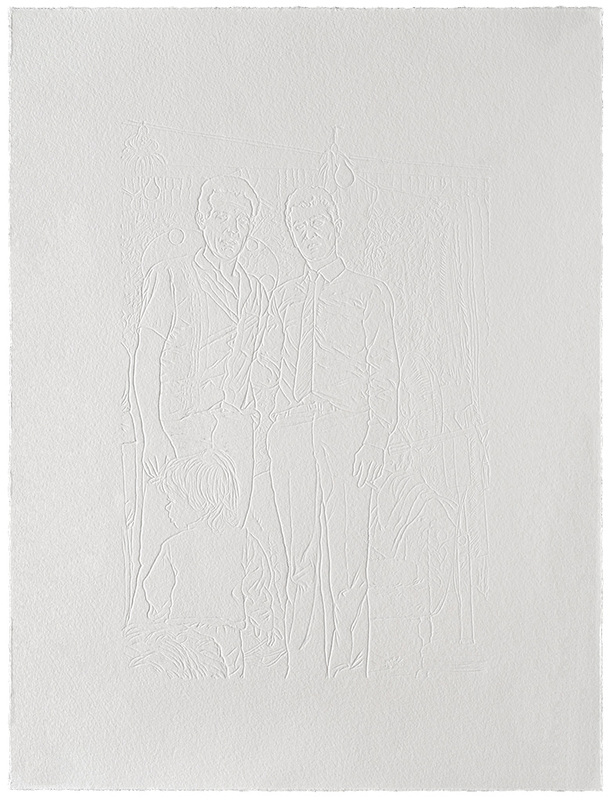 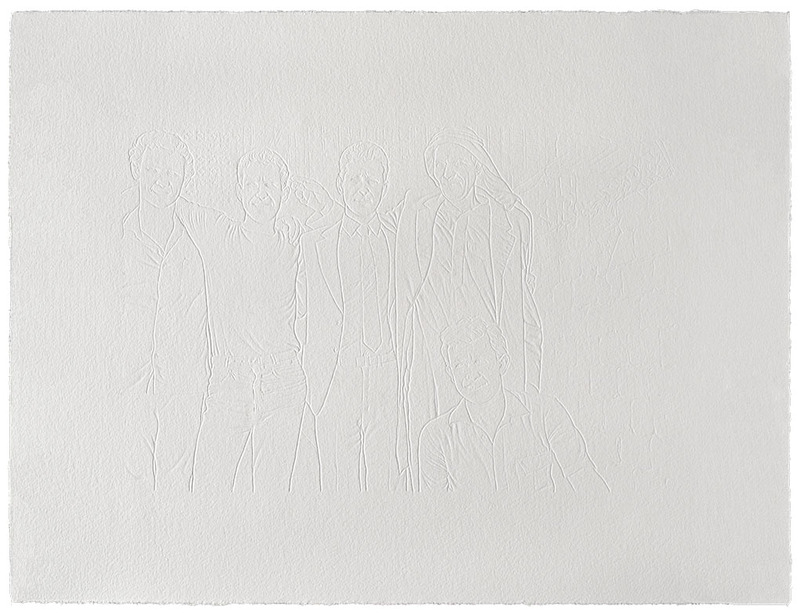 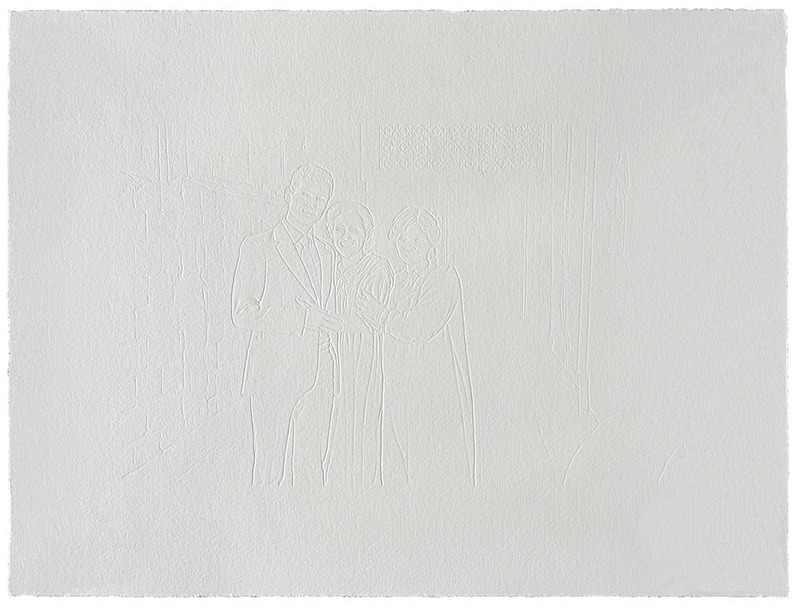 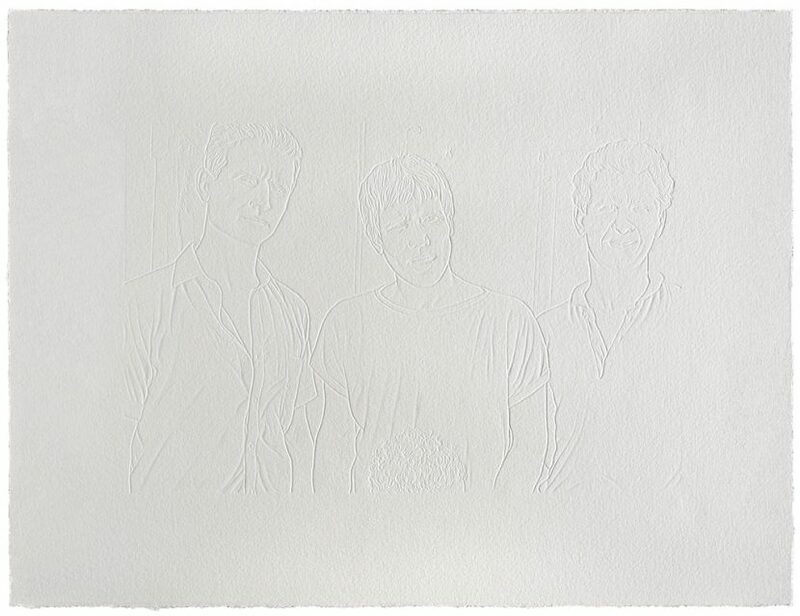 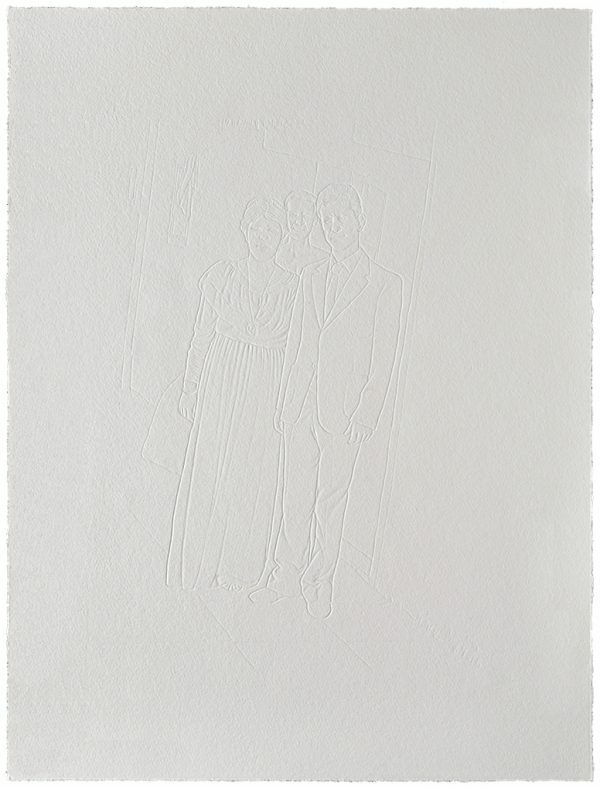 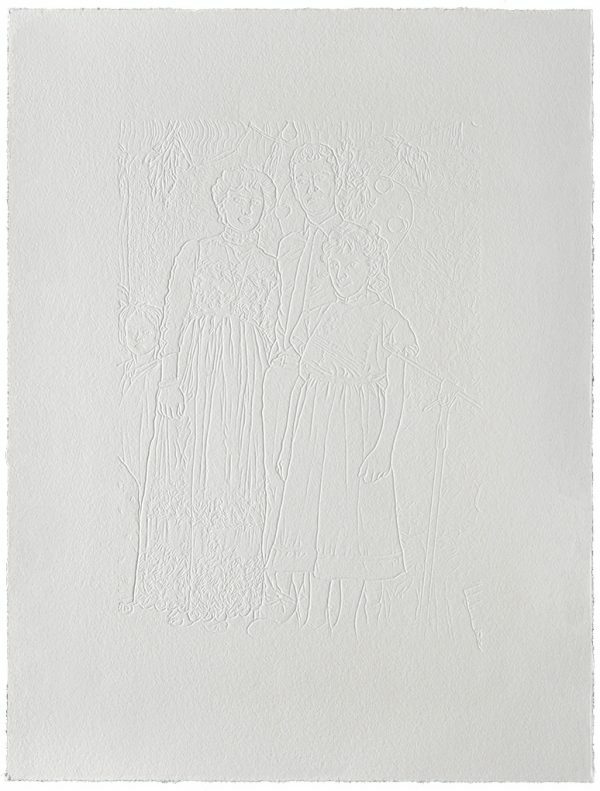 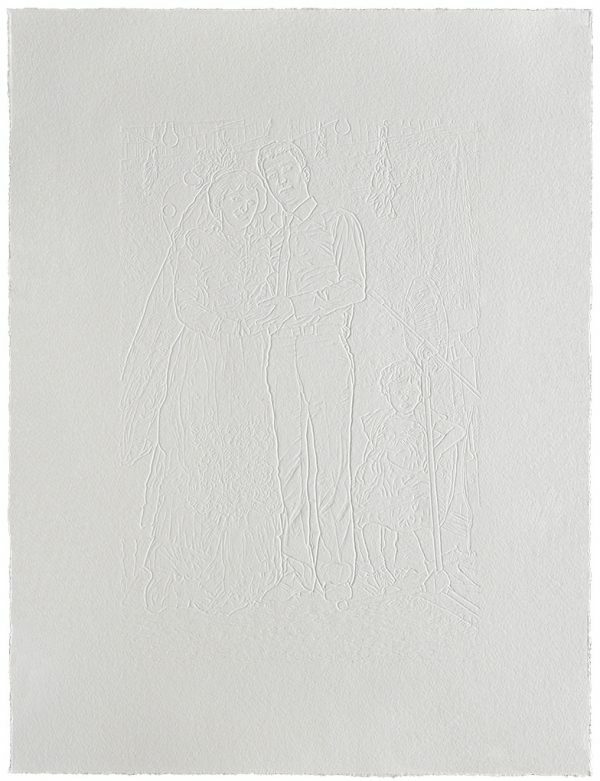 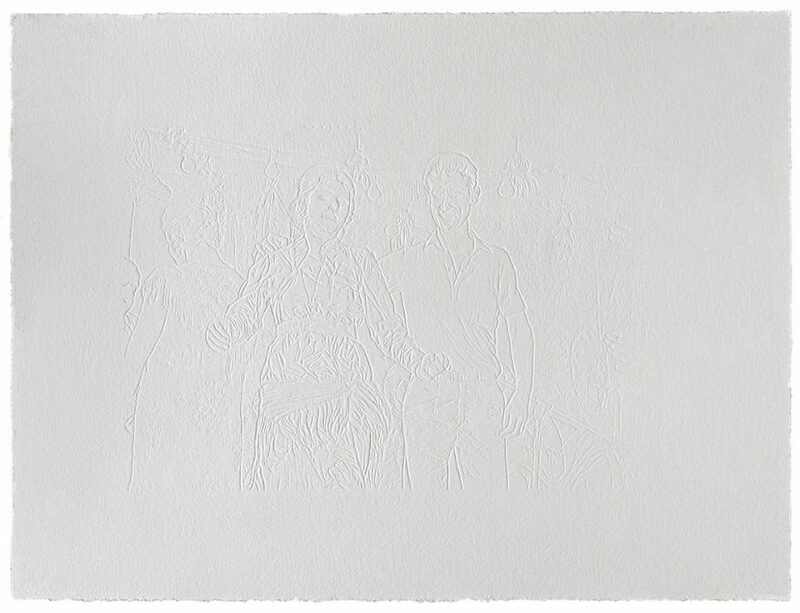 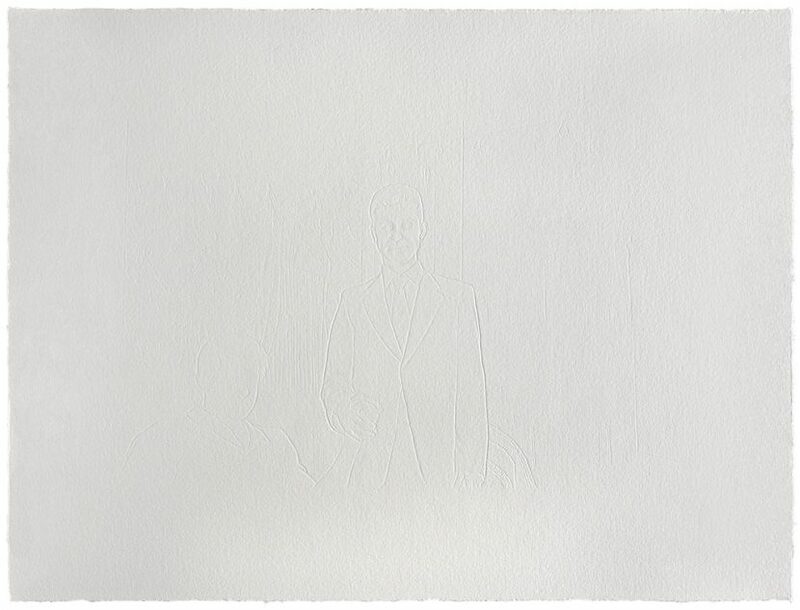 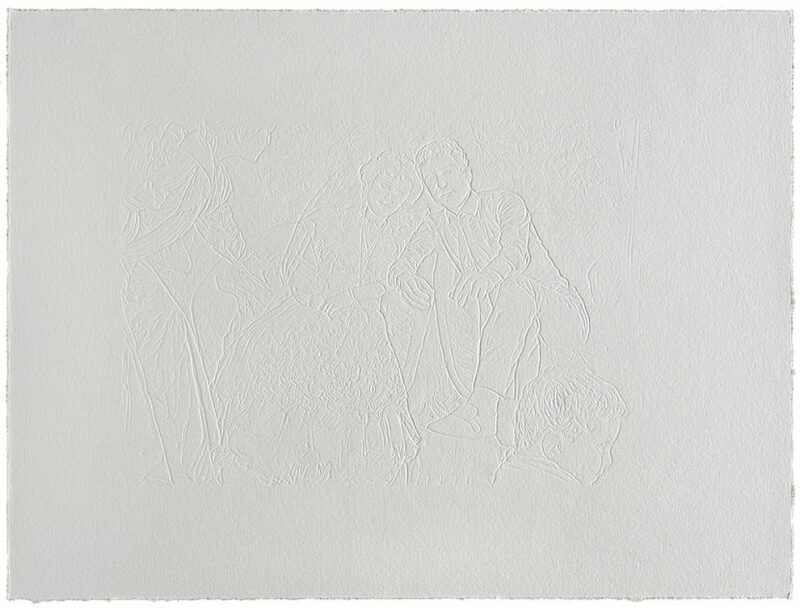 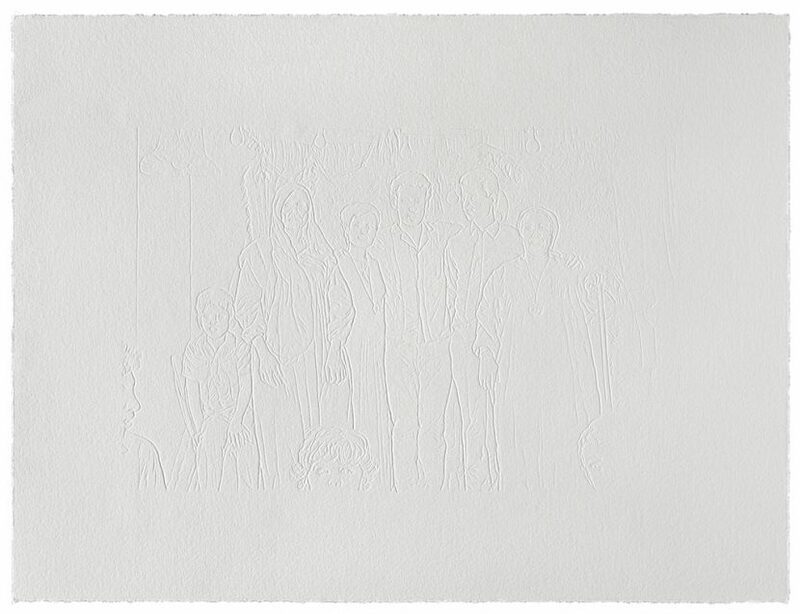 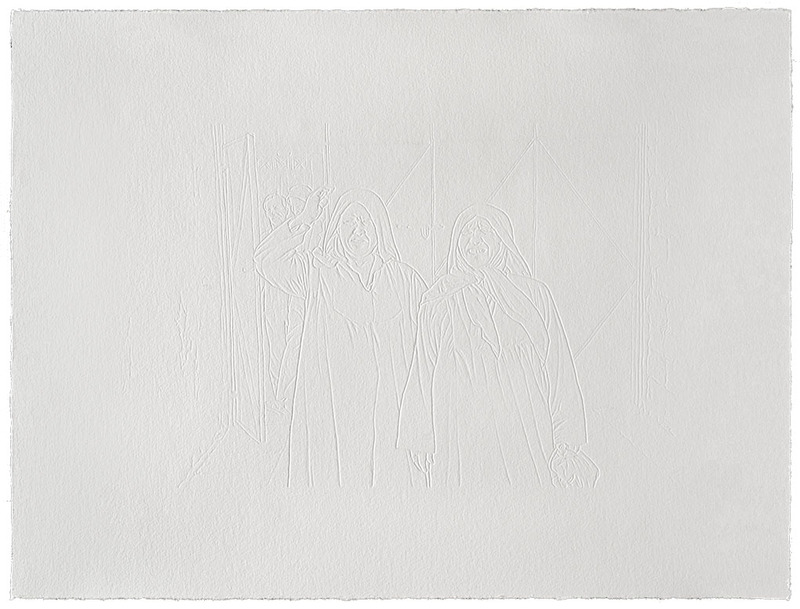 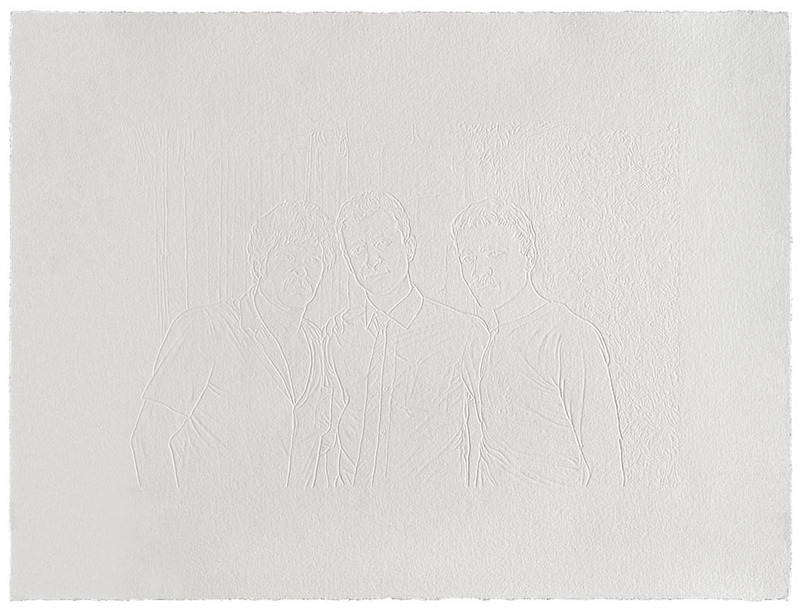 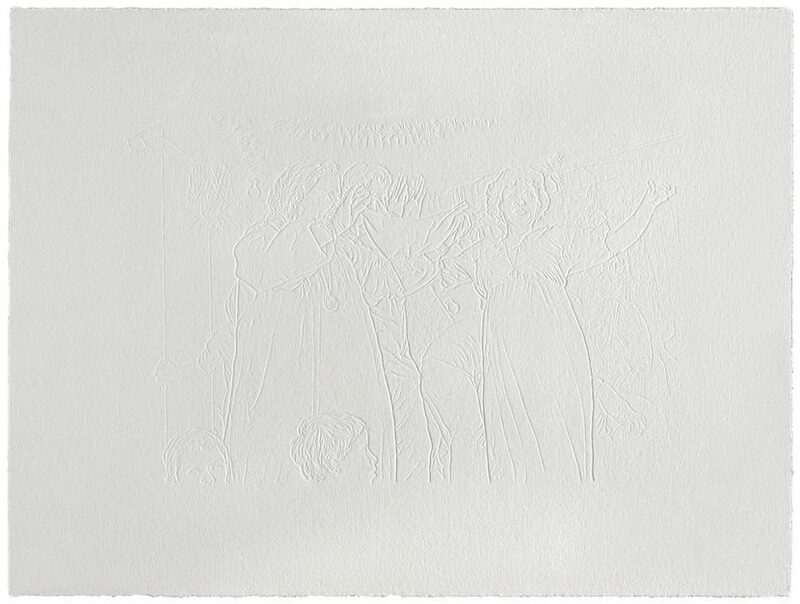 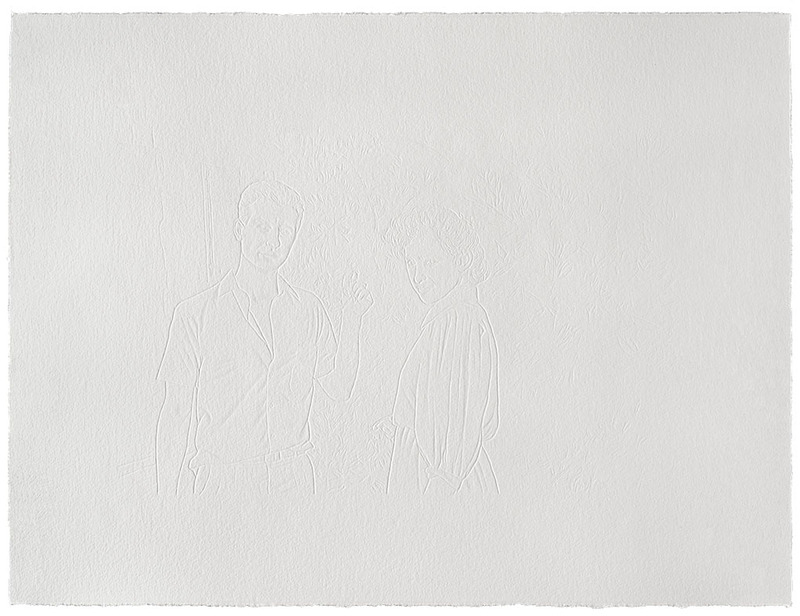 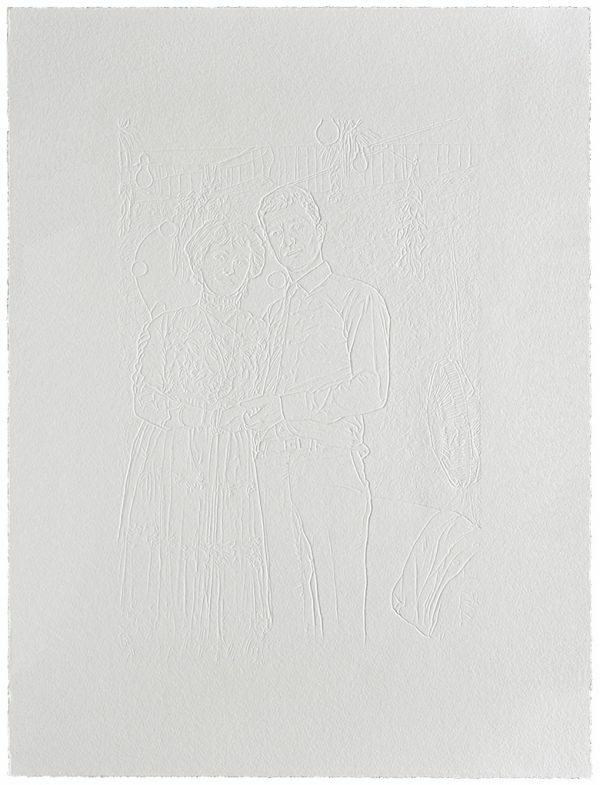 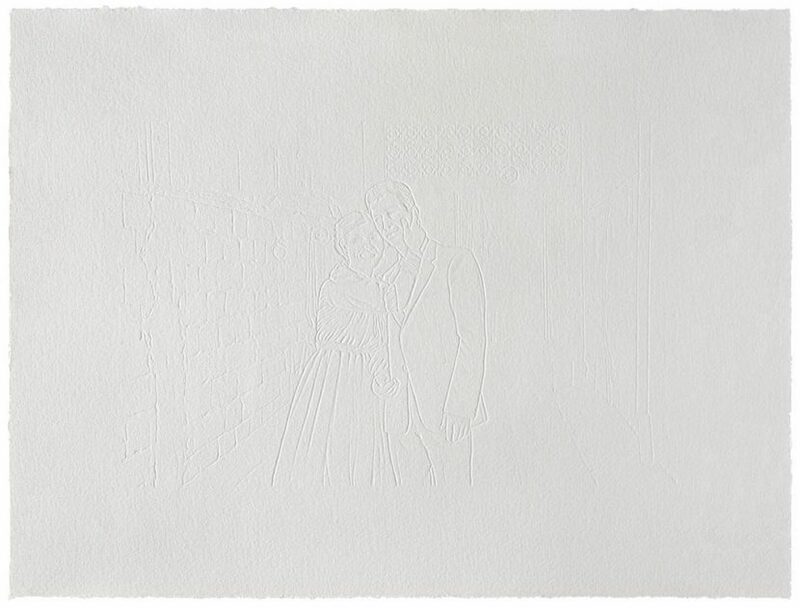 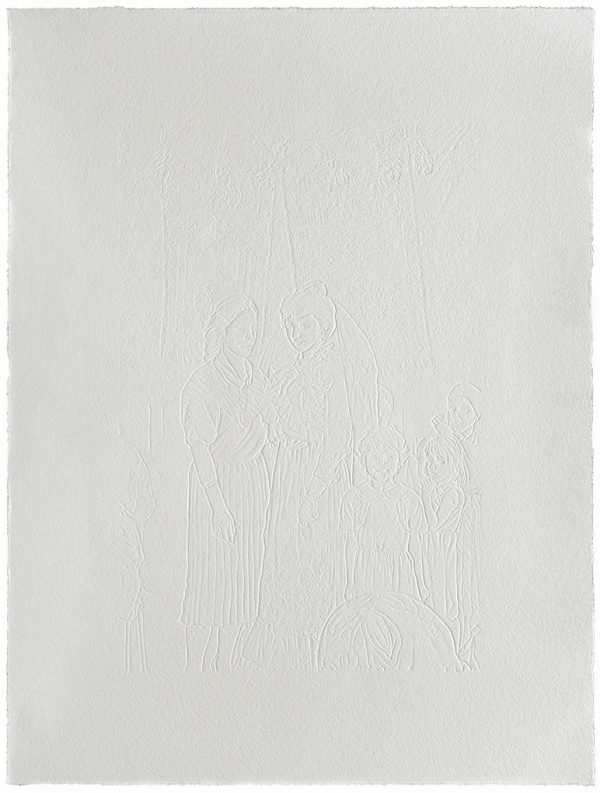 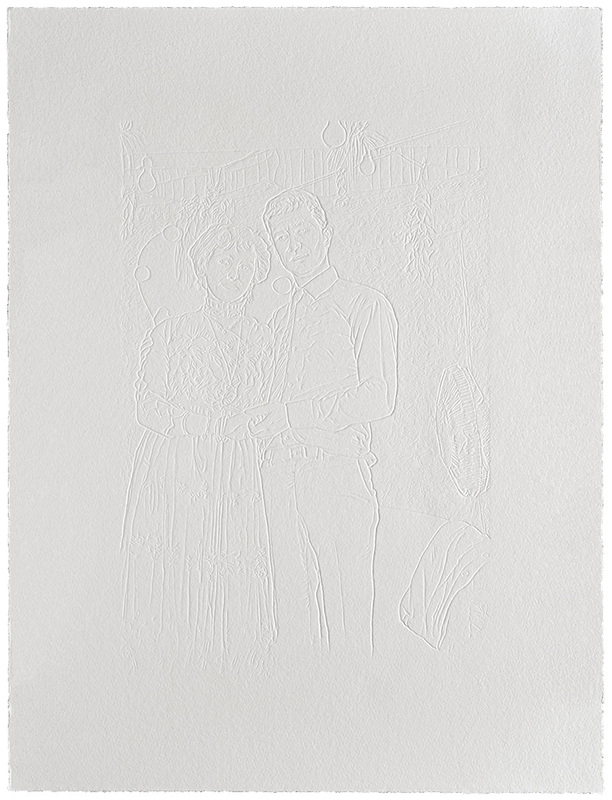 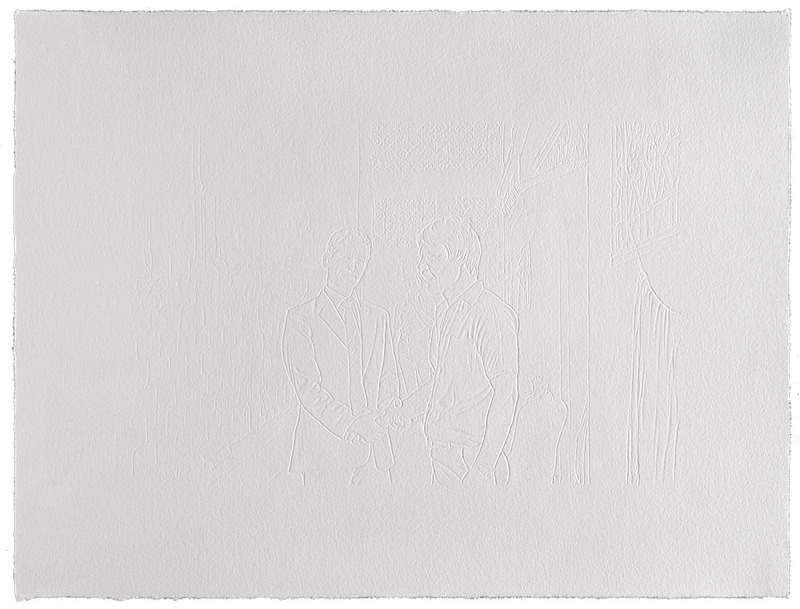 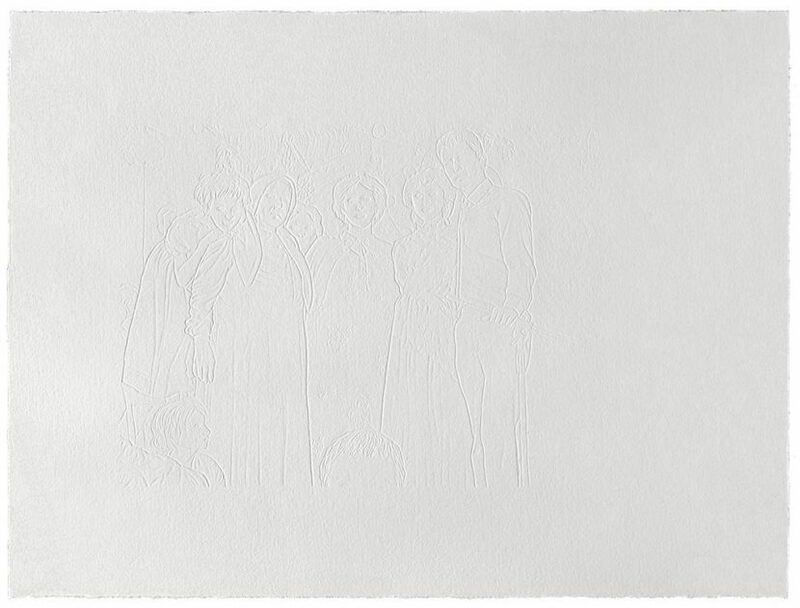 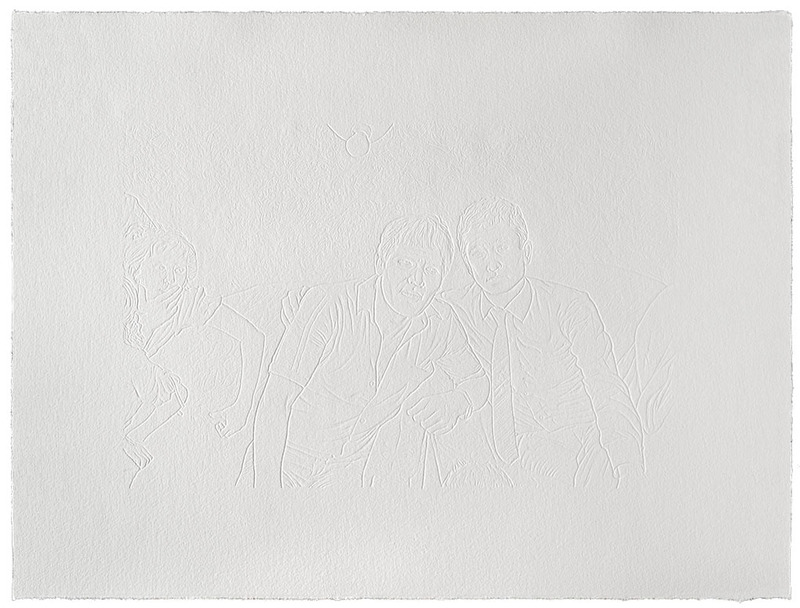 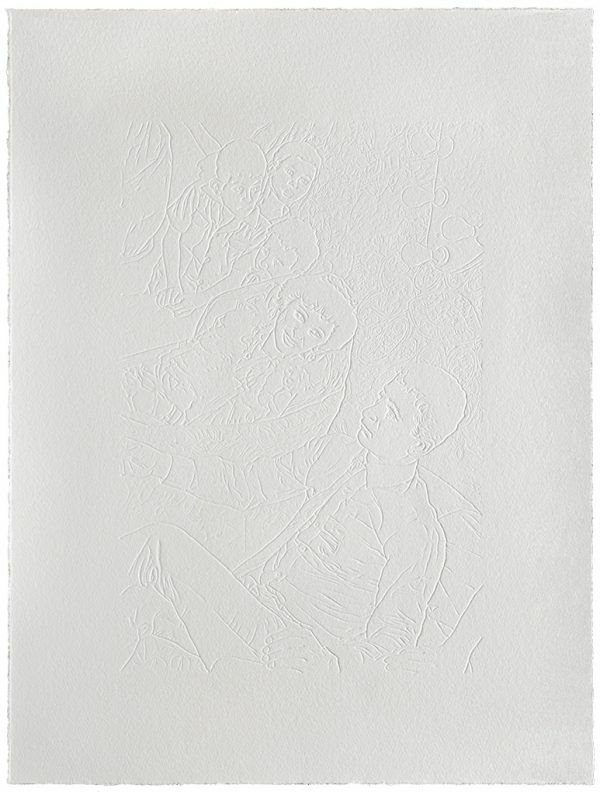 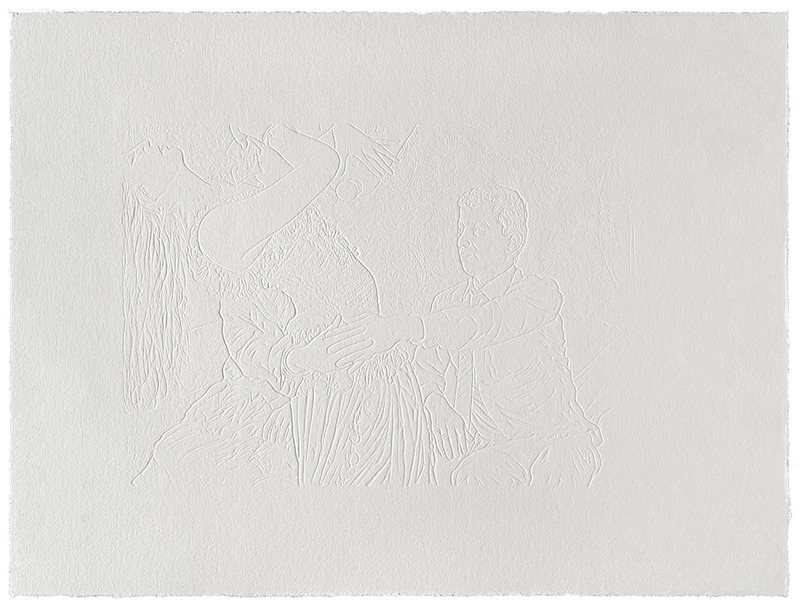 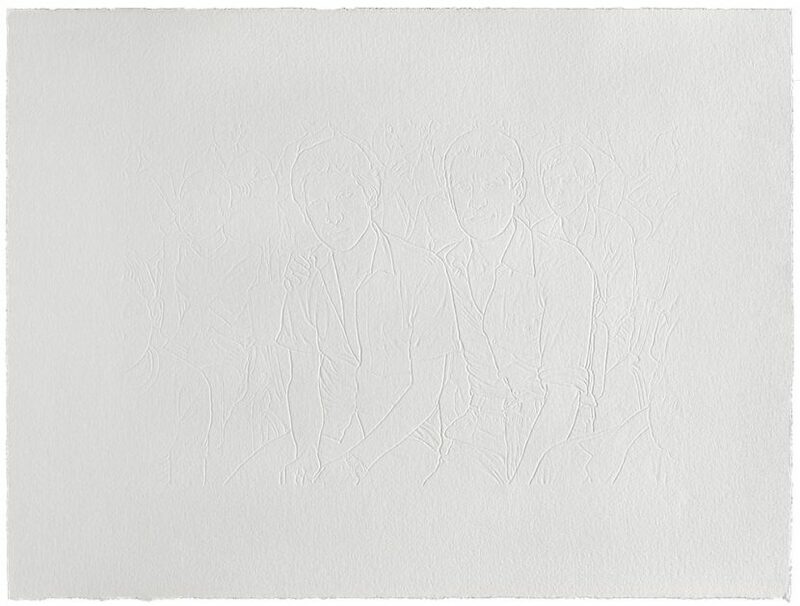 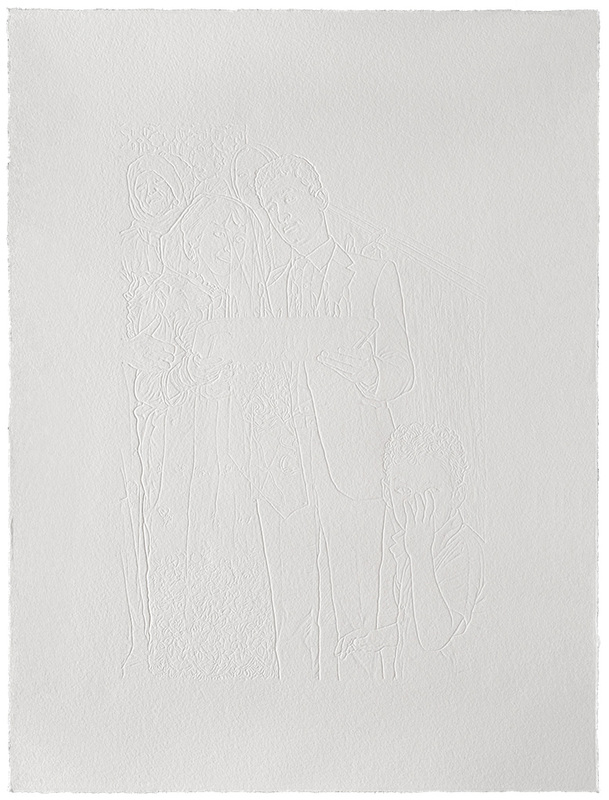 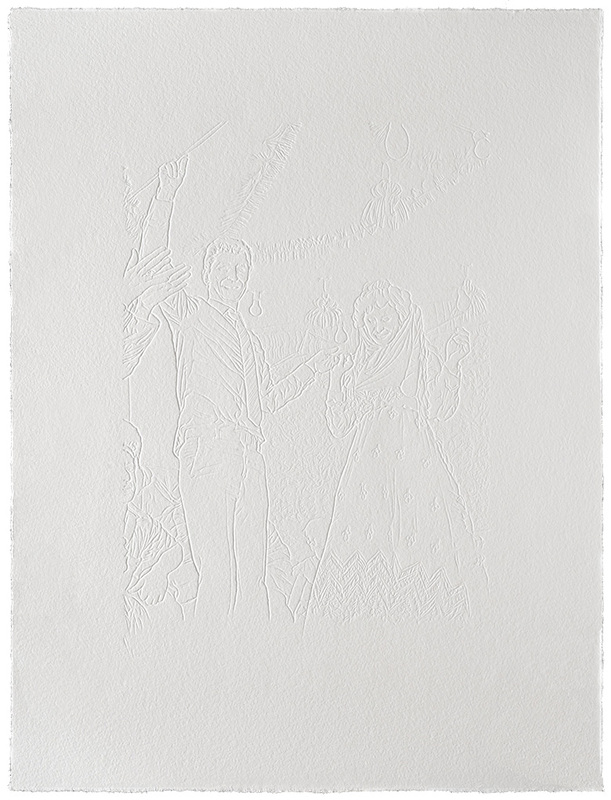 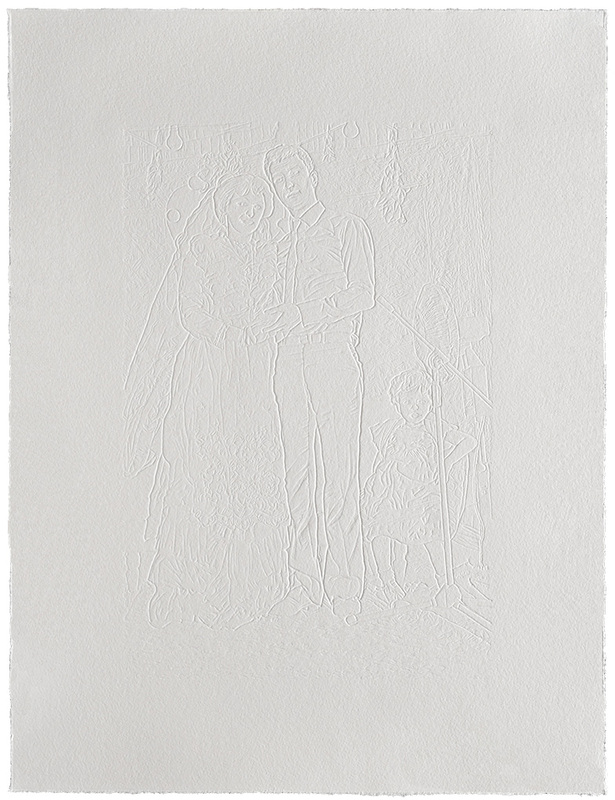 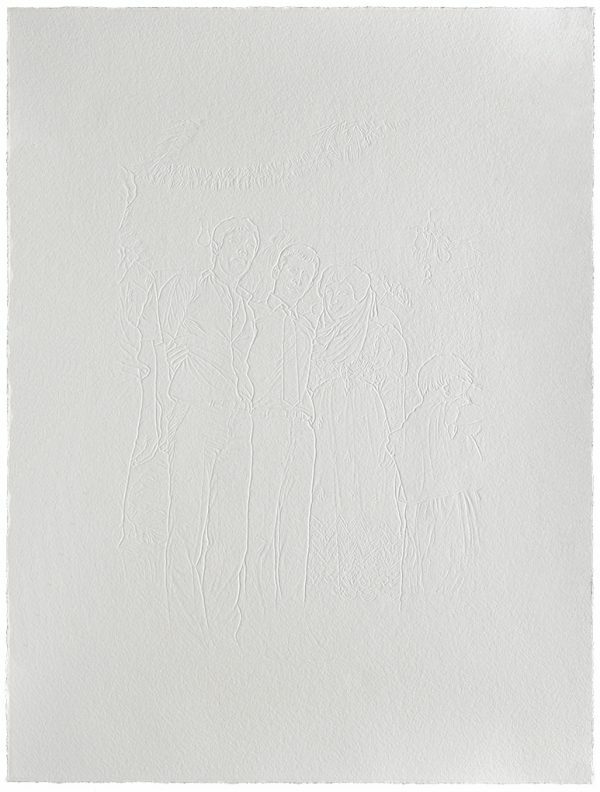 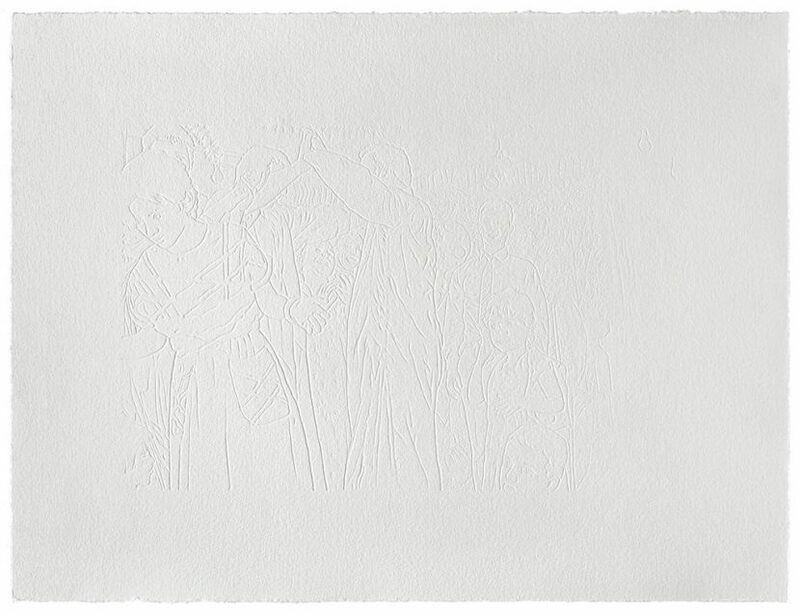 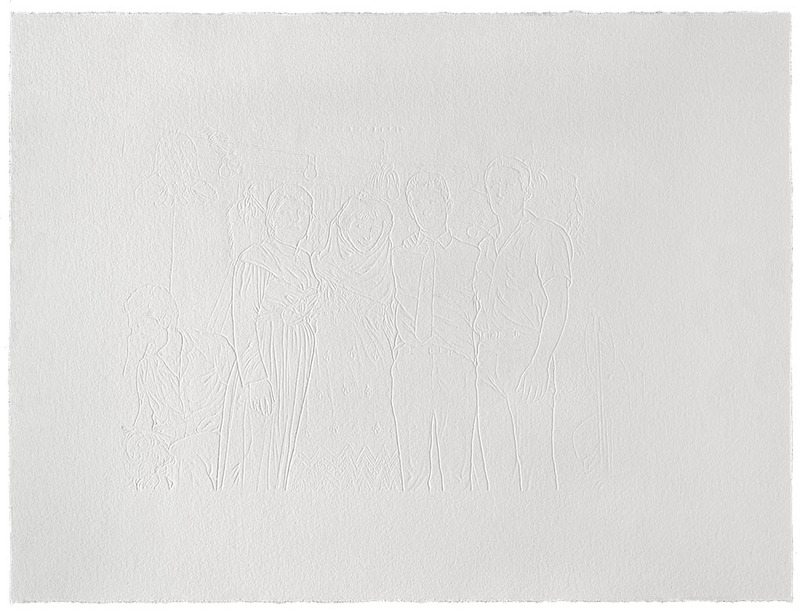 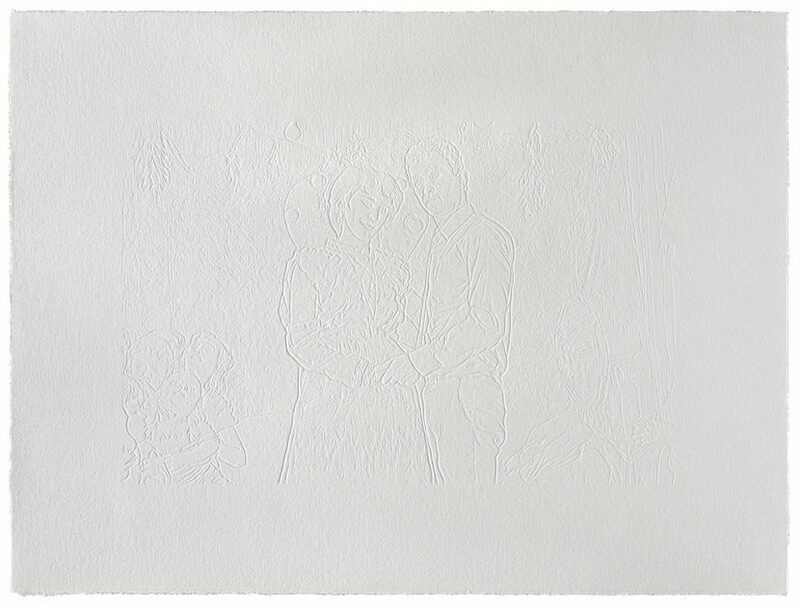 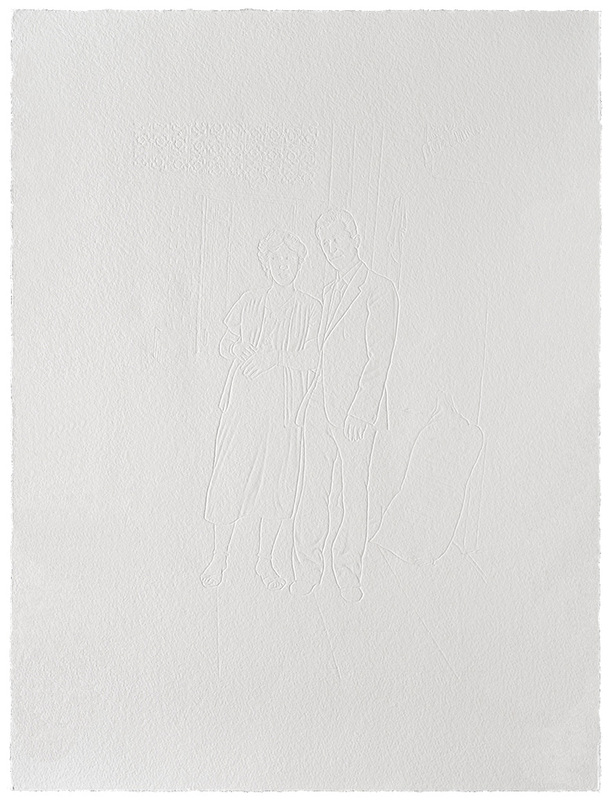 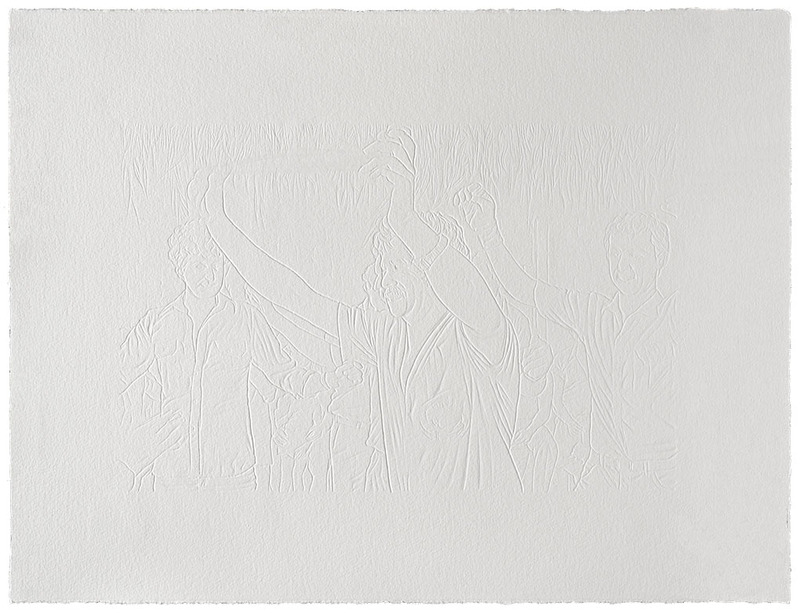 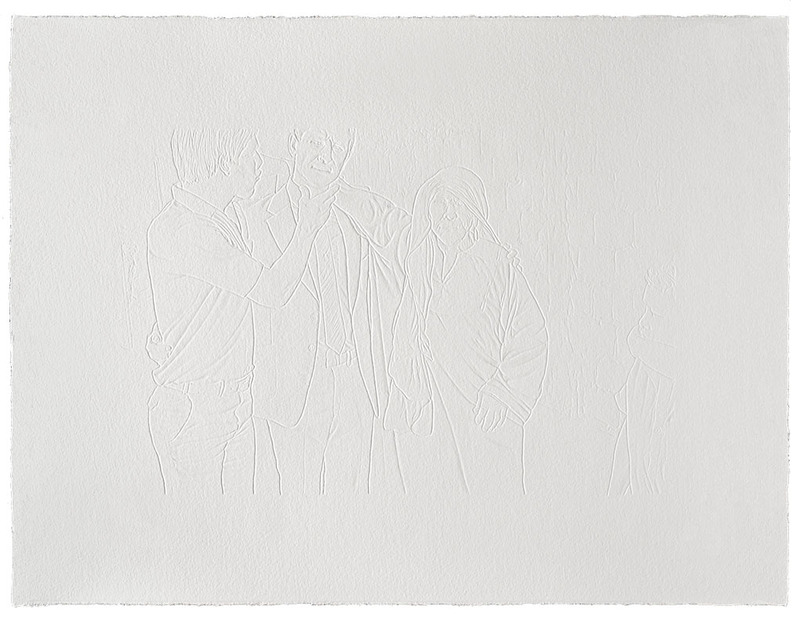 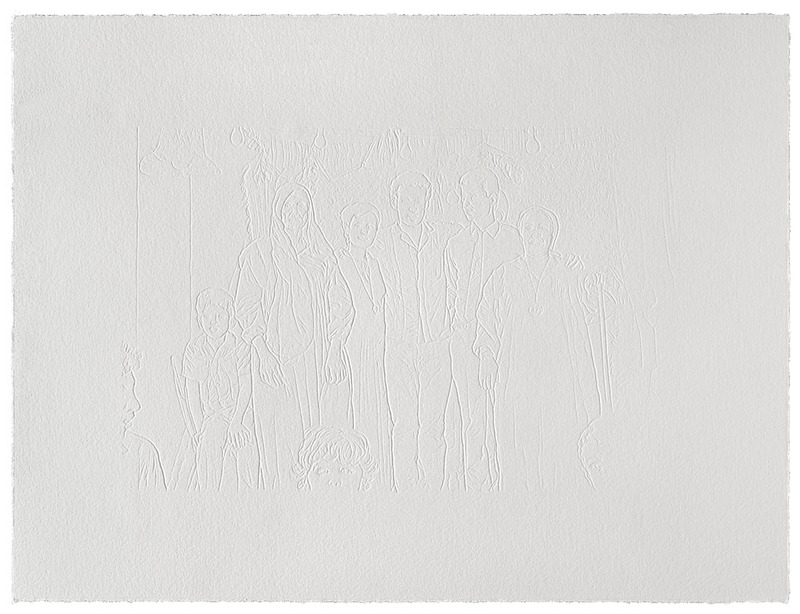 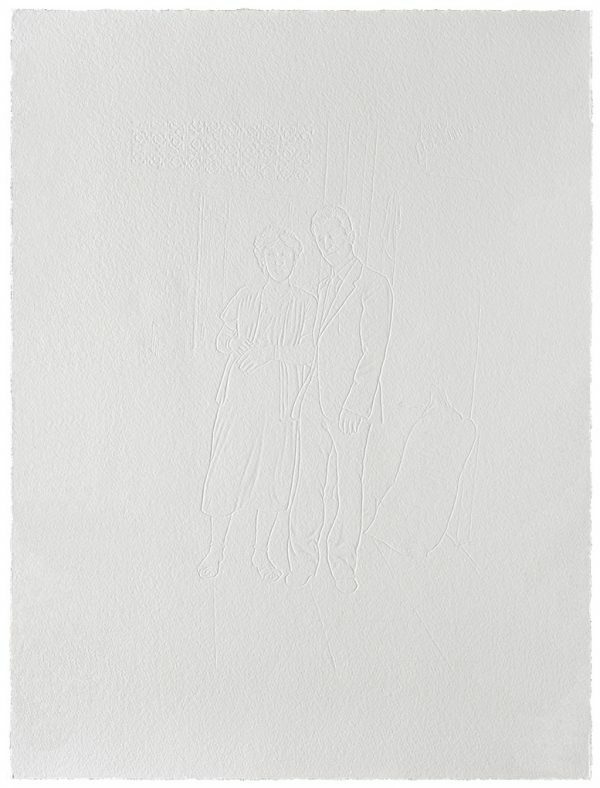 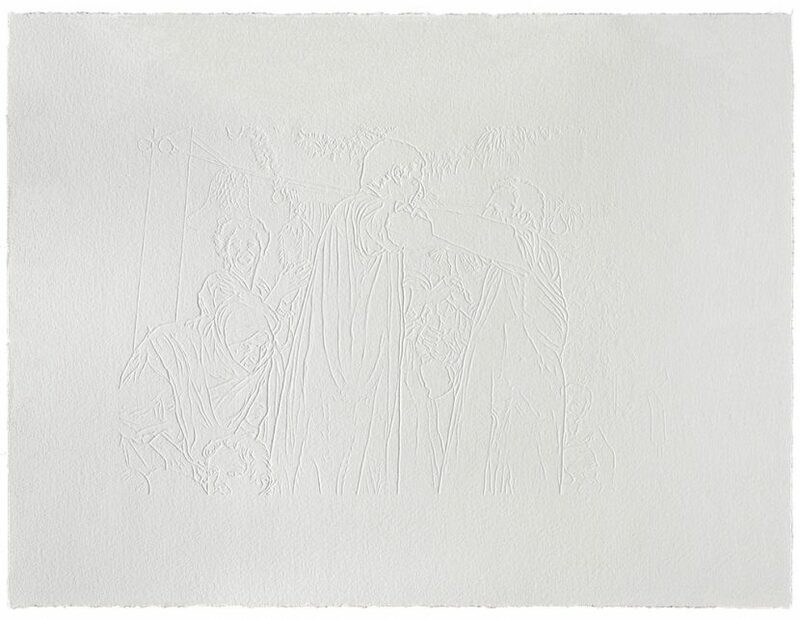 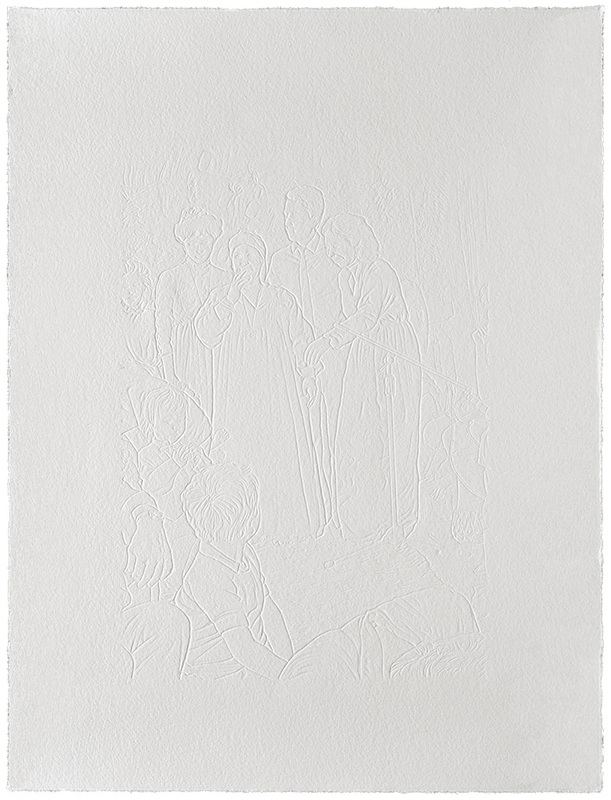 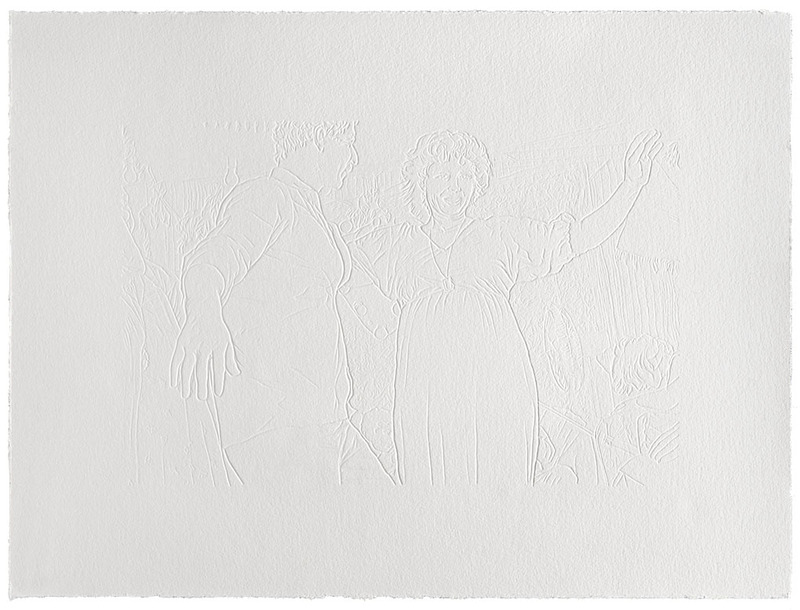 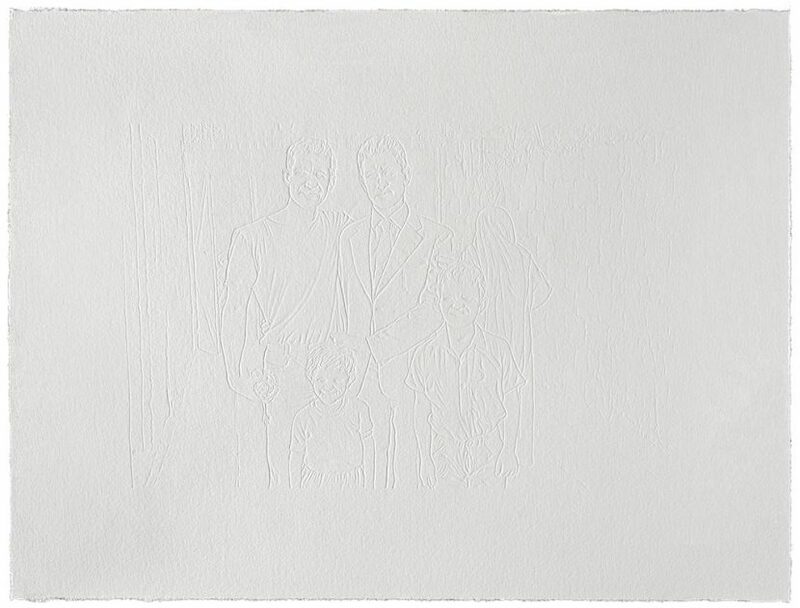 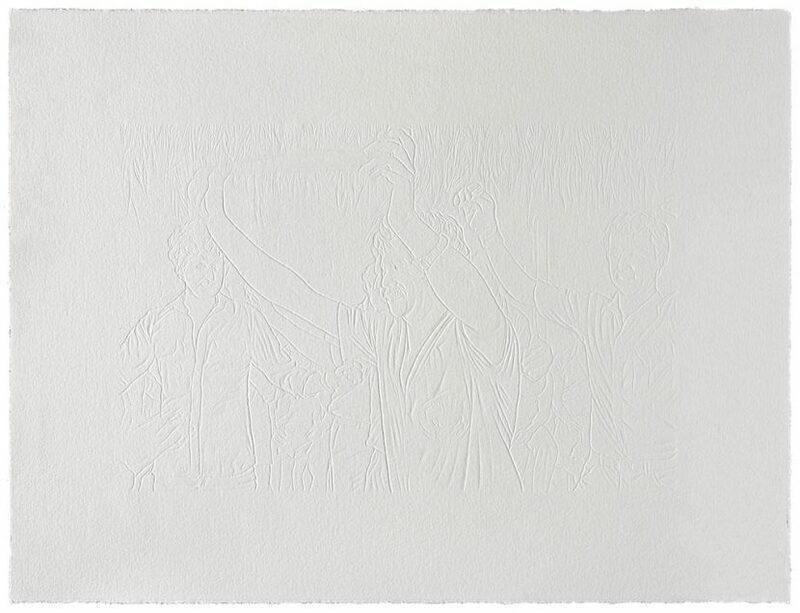 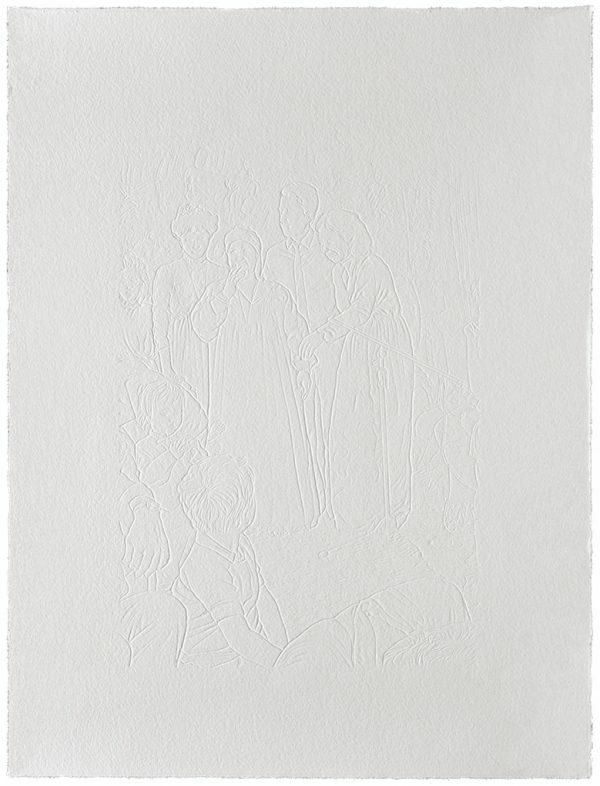 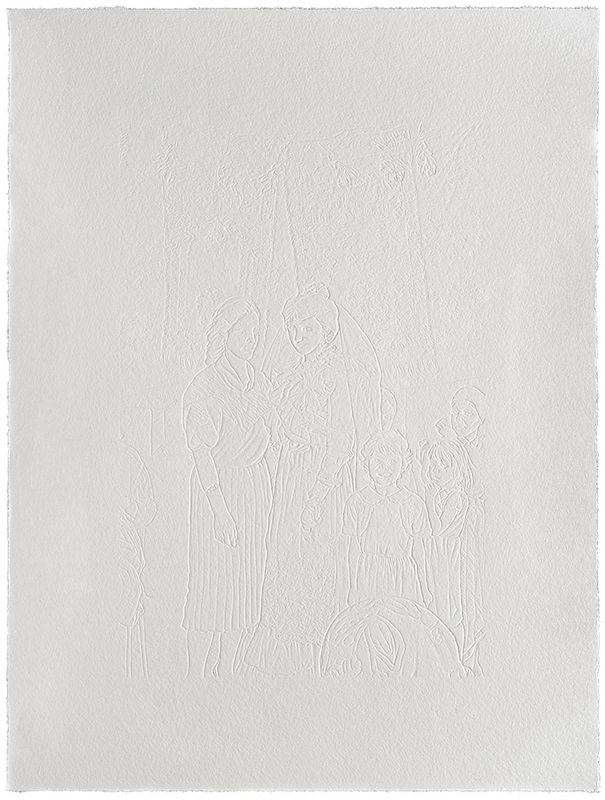 Batniji has etched a series of 60 inkless “drawings” on paper, based on family photos of his brother’s wedding. 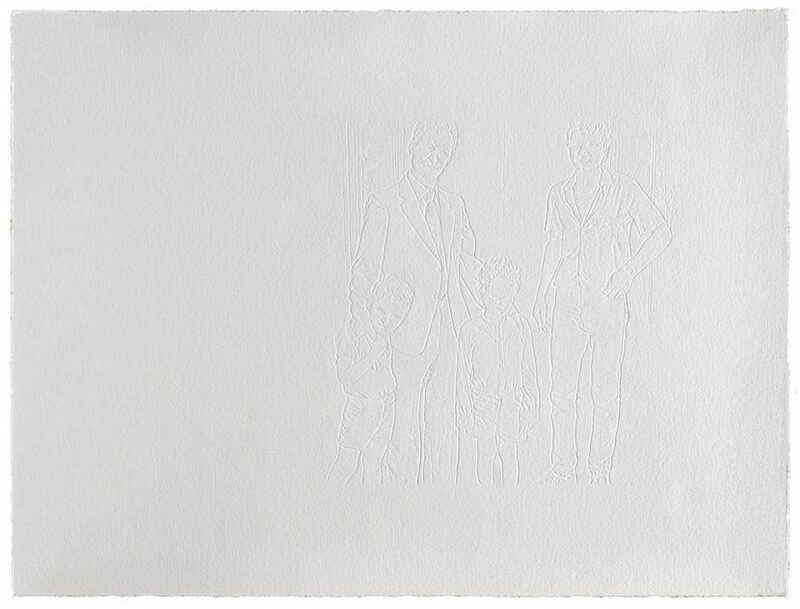 These “drawings” hark back to a happier time, one of joy and family gatherings. 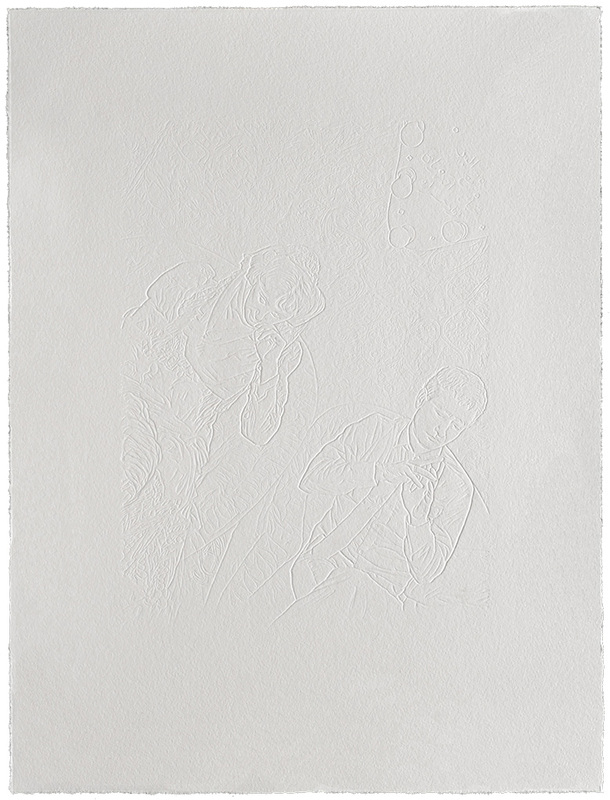 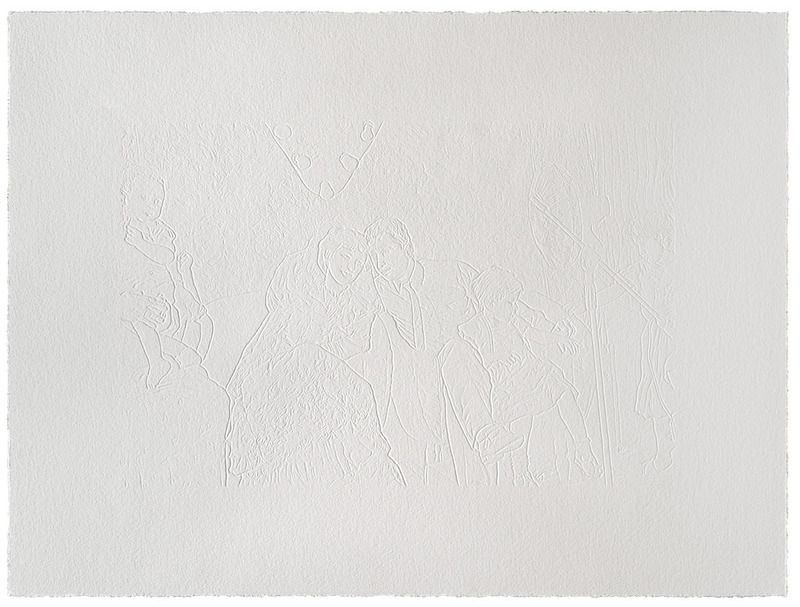 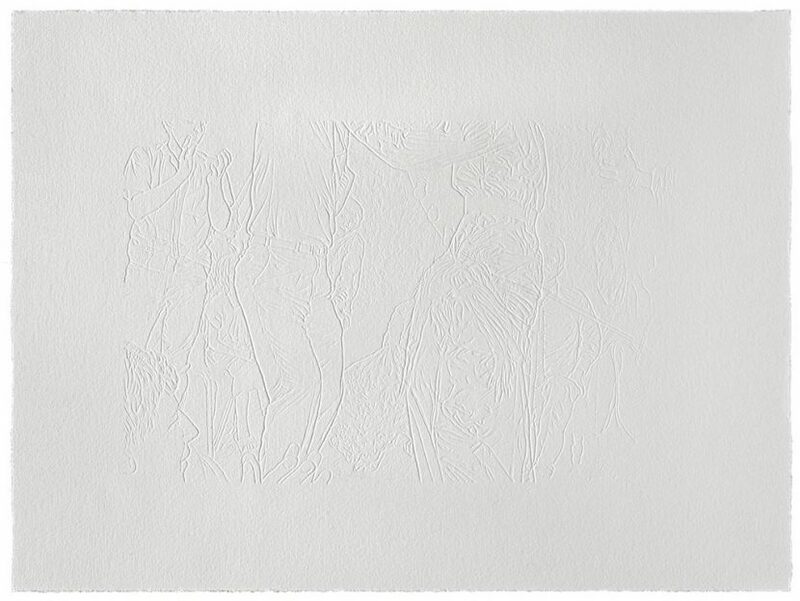 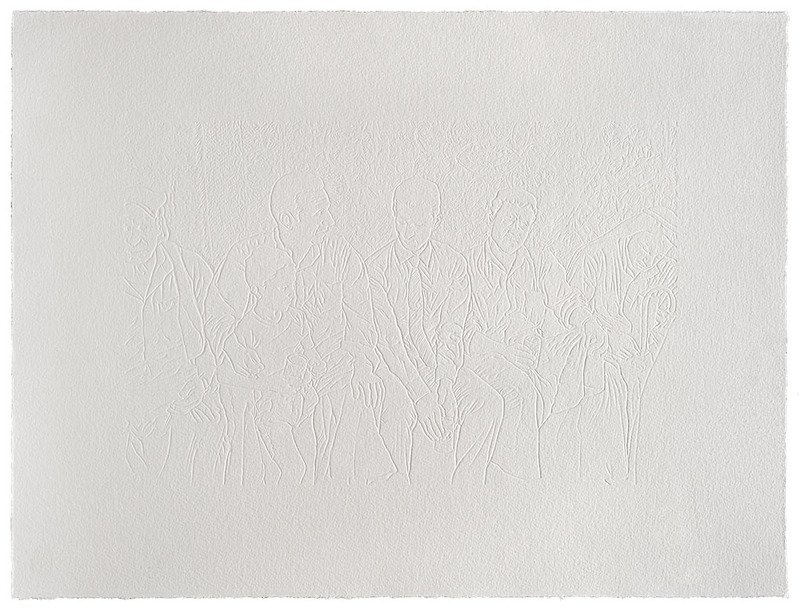 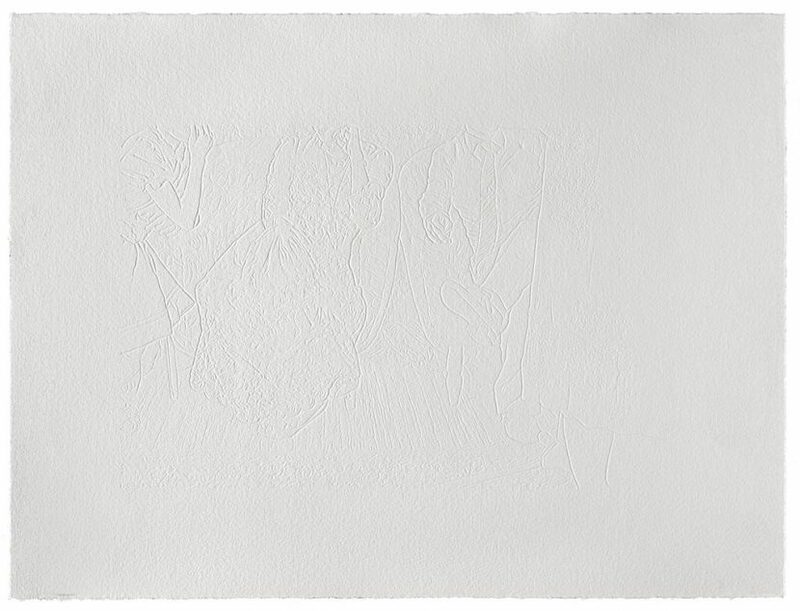 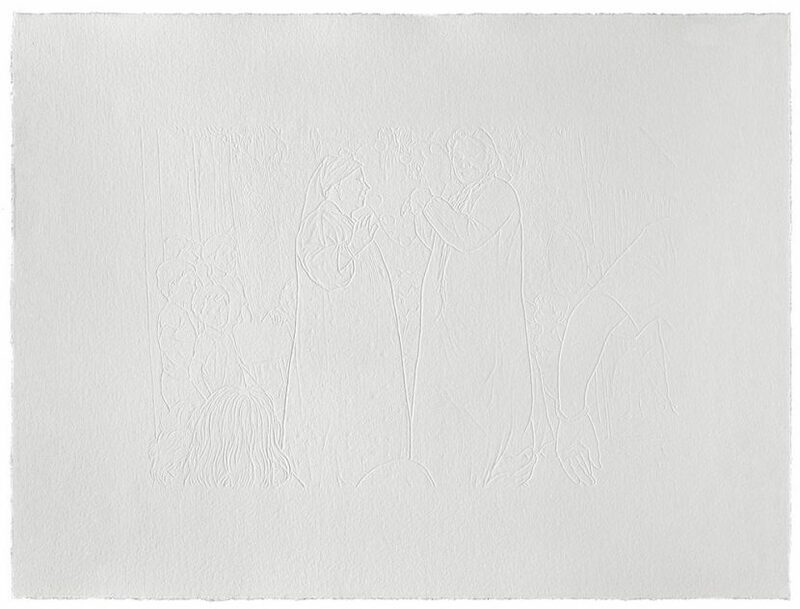 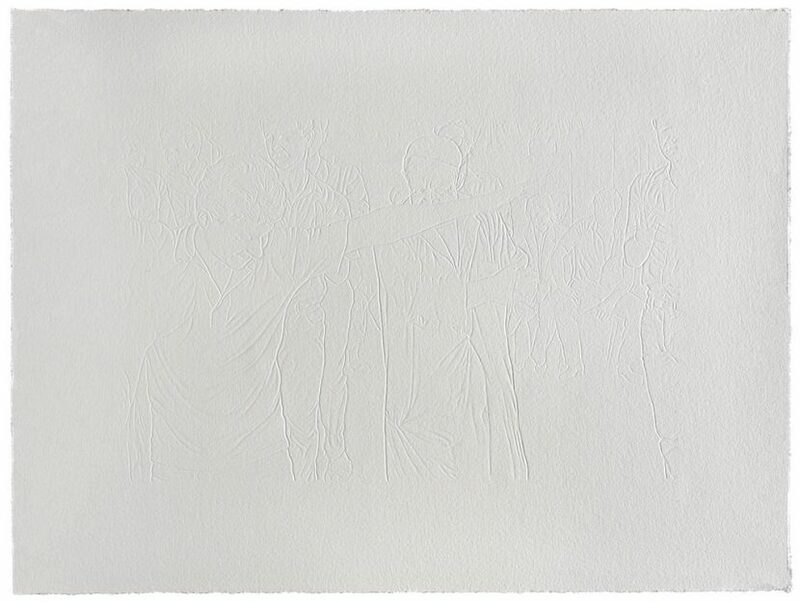 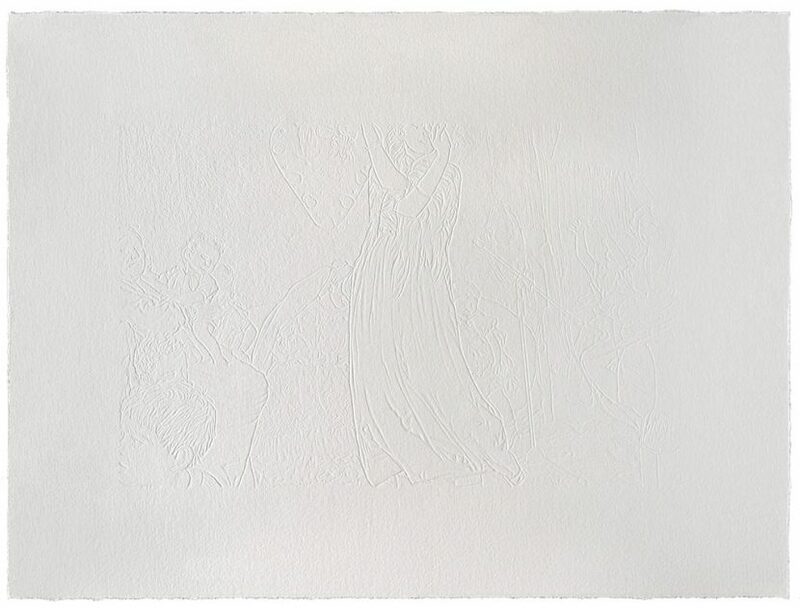 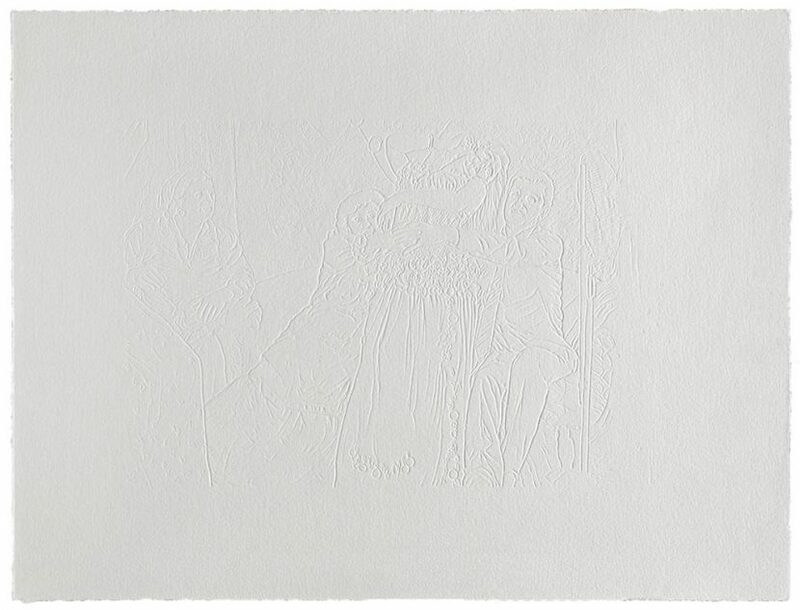 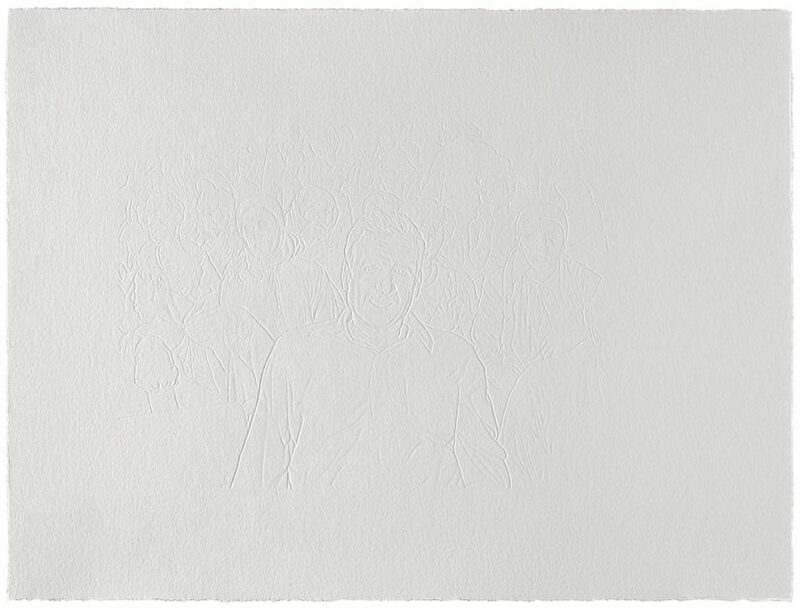 To My Brother is a fragile and poetic work which requires an intimate relationship with the viewer: stand too far away and the drawings appear as blank sheets of paper; stand closer and you will be able to trace the contours of the human shapes inhabiting these drawings, the artist’s memories, and the thin lines between an ephemeral presence and a permanent absence. 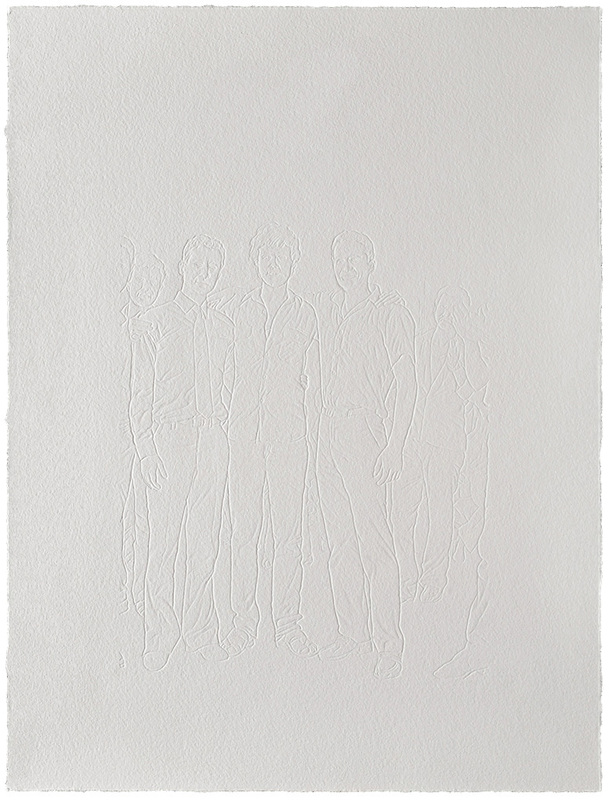 Move closer still and you will be able to discern that Batniji has left out certain details, and emphasized others. 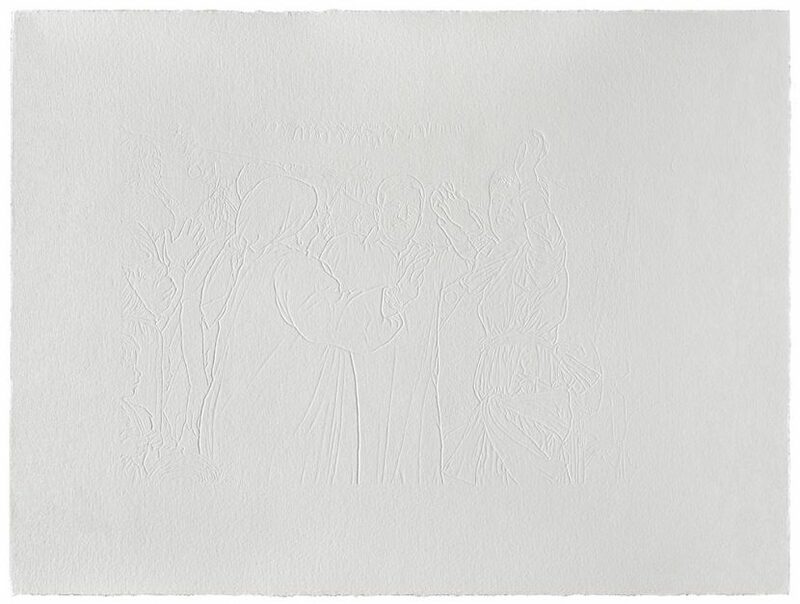 As the title indicates, this series is a dedication to Batniji’s late brother Mayssara and a commemoration of his untimely death. 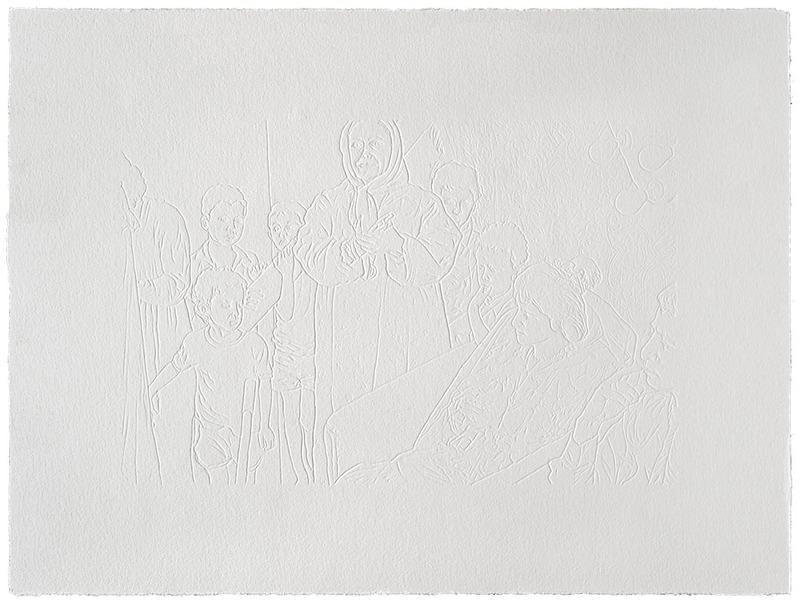 However, this very personal history ties into a wider political context of strife in the Middle East, and it shows how personal experiences ultimately, in some way or other, become part of a collective narrative. 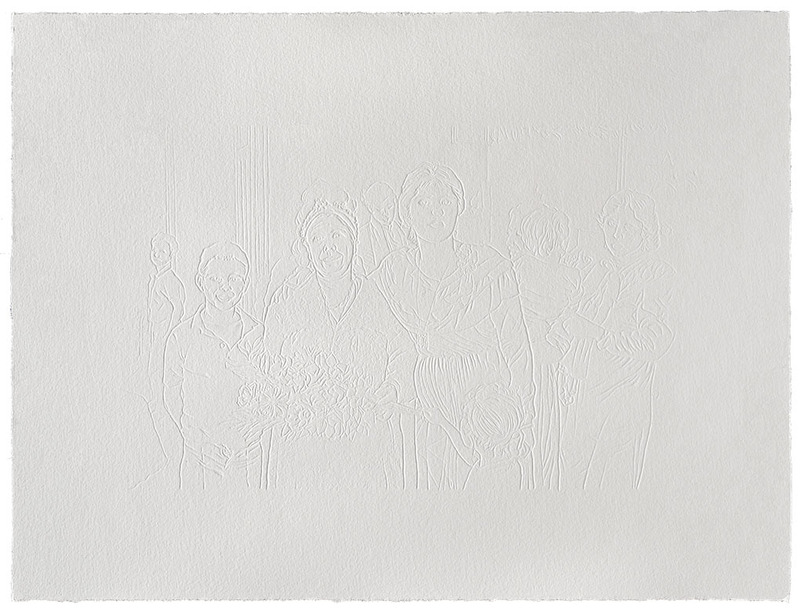 Ultimately, Batniji’s tracing of loss and its aftermath is a story that speaks to us all: the tragic bereavement of a loved one transcends strict geographical boundaries and political discourses.